In 2013, Jordan Lee was a member of the Auburn University fishing team. Today, he’s on top of the professional bass fishing world. 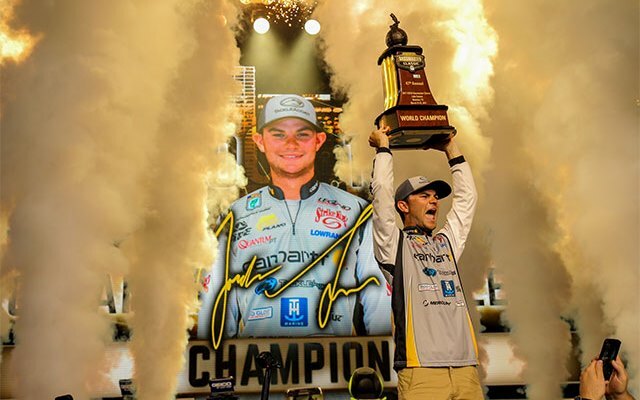 The pro from Guntersville, Ala., stayed within striking distance all week at the Bassmaster Classic. Then during Sunday’s final round, he caught five bass from Lake Conroe that weighed 27 pounds, 4 ounces, pushing his three-day total to a tournament-best 56-10. The event itself drew thousands of people to morning takeoffs at Lake Conroe Park, the Outdoors Expo and the daily weigh-ins at Minute Maid Park, home of Major League Baseball’s Houston Astros.